Owing to our proficiency in this domain, we are engaged in offering a supreme quality of Sensor Paver Finisher to our prestigious clients. Our procured paver is extensively used in projects such as Highways, Airports, Rural Roads, Motorways, Main Roads, etc. The paver offered by us has procured from trustworthy vendors of this domain under the surveillance of our procuring agents. Apart from this, our paver has achieved a huge appreciation for its durable & reliable nature. 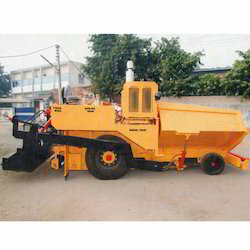 With the inclusion of some famed vendors of the industry, we offer a robust designed Mechanical Paver Finisher. Our special chassis design paver finisher is comprised of mechanical transmission drive to give strength and stability. 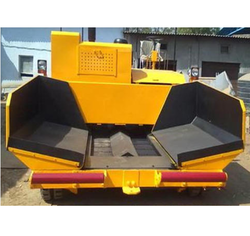 With the inclusion of some famed vendors of the industry, we offer a robust designed Mechanical and Sensor Paver Finisher. 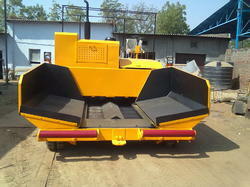 Our special chassis design paver finisher is comprised of mechanical transmission drive to give strength and stability. Looking for Paver Finishers ?